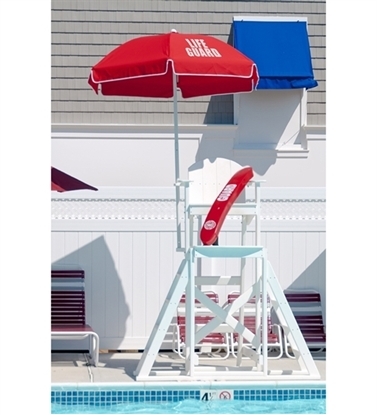 Commercial grade 50 pound powder coated steel umbrella base is designed for under table use. Total size of 20″ x 20″ x 9″ fits nicely under a table. Great for poolside patio in a hotel or resort. Use this umbrella base under a table with a UBrace for the ultimate security for your umbrella. 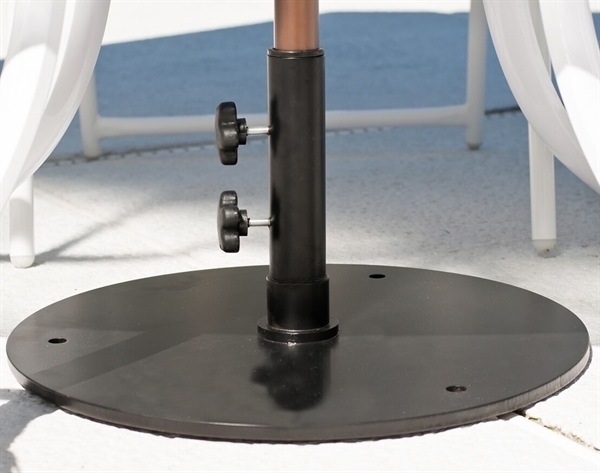 The locking screws provide security for your umbrella pole.